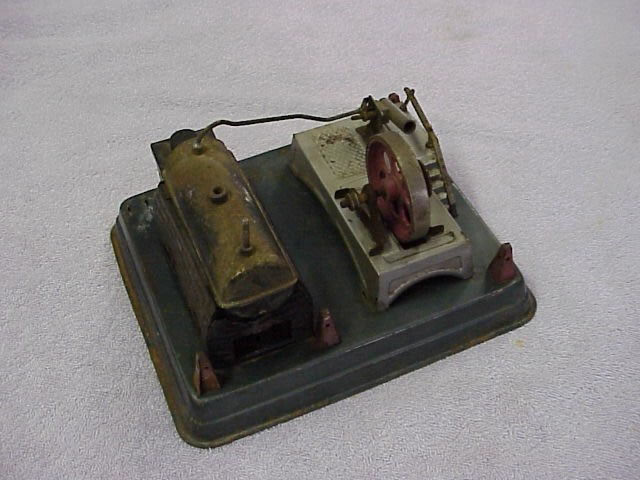 Toy steam engines have been around since the steam engine was first developed. Though mass produced, a large number of the engines were actually made as home project either by machinist or engineers. 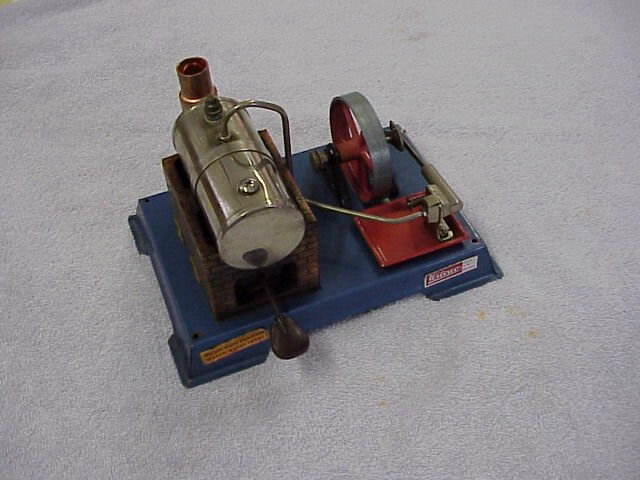 There are three major manufacturers of these toys engines today, Mamod (English), Wilesco (Germany), and Jensen (USA). 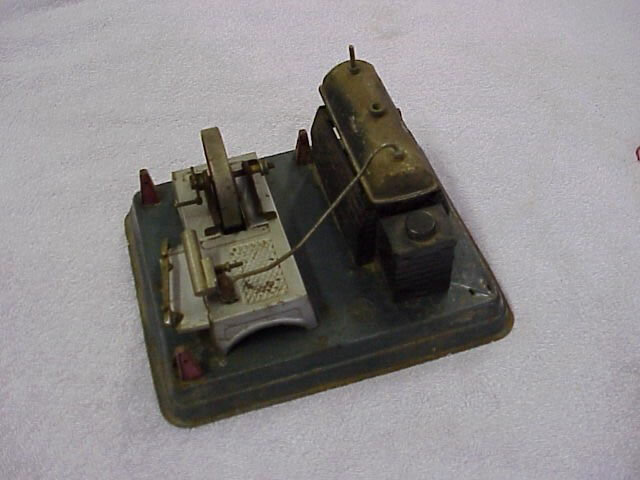 Most of these manufacturers also made accessories that could be "powered" by the engine to operate such as a DC or AC generator to power a small light. 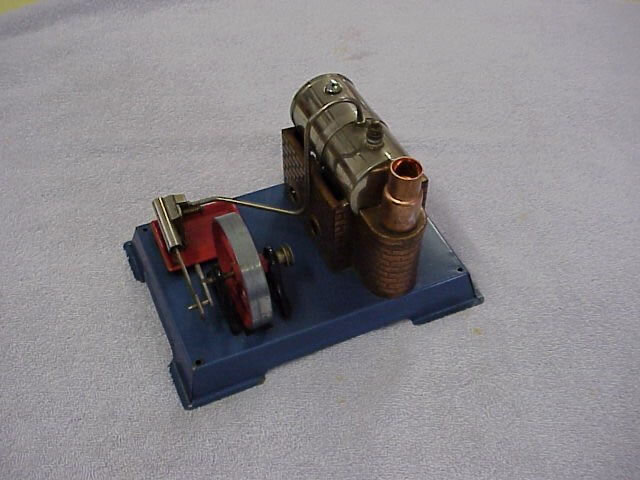 You can click here to see and explanation of the parts associated with a toy stationary steam engine from the Jensen web site. 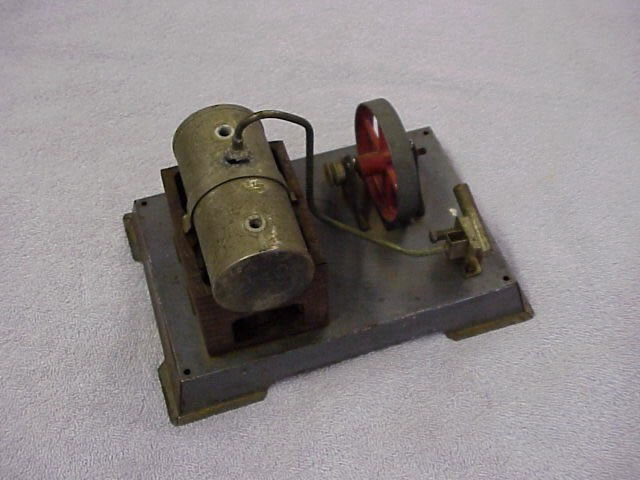 I may have some extra steam engines available to sell or trade, and some links to some good steam sites. These are some Jensen engines represent some of the larger "Hobby/Educational" engine that were/are commercially available. 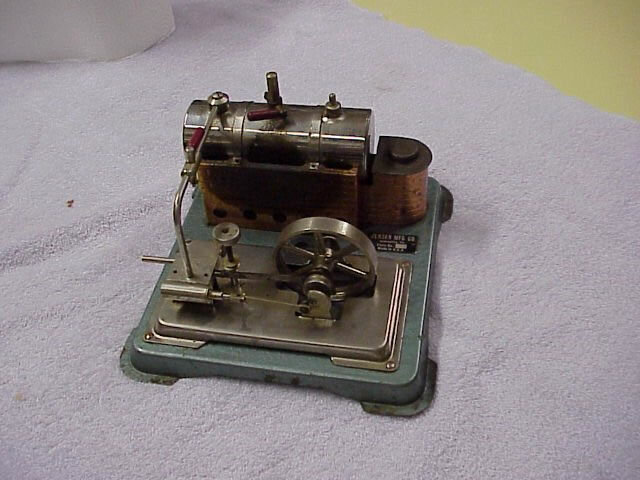 Though some were powered by electric heating elements, these operate on a solid fuel tablet that functions similarly to "sterno". Caution should be exersized when operating one of these, since the steam is very hot and under pressure. 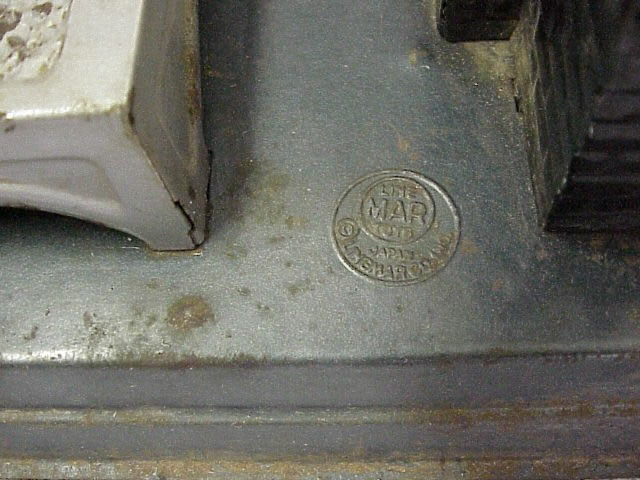 This is a Marx engine that I would like to know more about. Please drop me a note if you have information on it. 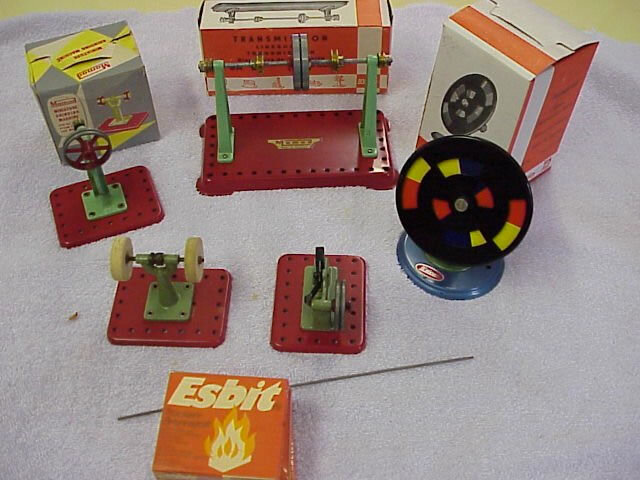 These are some accessories that were available and would function with the engines.